King County Metro seeks public comment on a plan to provide more-frequent overnight buses in Seattle, Shoreline and SeaTac. 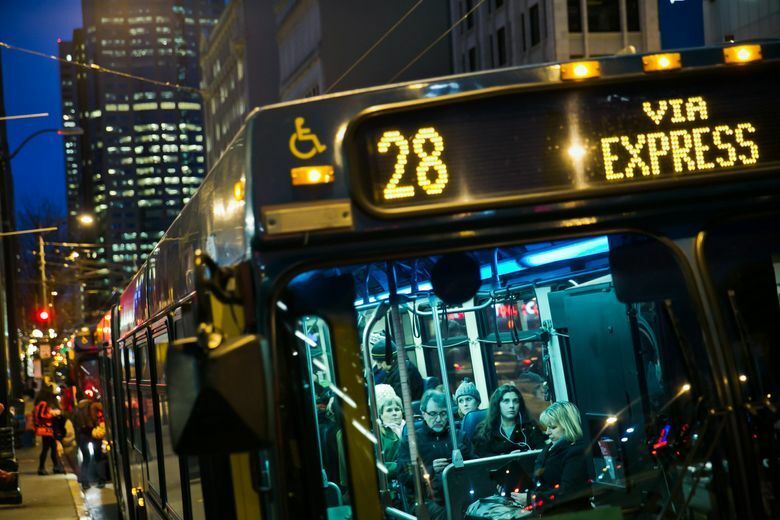 Calling all night-shift workers: King County Metro Transit wants your comments this month about its plan to increase bus trips between midnight and 5 a.m. on popular routes. Metro would scrap looping routes 82, 83 and 84 that run in Seattle from 2:15 to 4 a.m. and serve only about 150 people. Instead, buses would appear hourly on the RapidRide C Line to West Seattle, D Line to Ballard-Uptown and E Line along Aurora Avenue North. Added overnight service is planned on Route 124 to Seattle-Tacoma International Airport while light-rail trains halt for nightly maintenance, and for the 120 bus to Delridge, the 62 to Wallingford and Roosevelt, 5 to Phinney and Greenwood, 11 to Madison Park, 70 to Eastlake-University District, and 3 linking downtown to Queen Anne and Judkins Park. The changes are aimed at health-care or service workers with unusual shifts, late-night travelers, nightlife revelers and the homeless. Overnight ridership totals 3,000 on 20 lines now and could increase with more options, Metro says. Details, a map and a survey are on the Metro website, or call 206-477-3842.